Maybe — finally — Trump is getting North Korea negotiations right. President Donald Trump is just one week away from one of the most important moments of his presidency — and he’s trying to lower expectations in advance. Trump plans to meet North Korean leader Kim Jong Un in Vietnam at the end of February for their second summit. Trump’s main goal, as it was when they met for the first time in Singapore last June, is to strike a deal to dismantle North Korea’s nuclear program. That’s easier said than done. After months of talks, both sides are at an impasse: The US has demanded that North Korea offer a full, detailed list of its nuclear inventory before it lifts sanctions, while North Korea says the sanctions should be lifted before it provides the full list and seriously begins to downgrade its nuclear capabilities. It’s no wonder, then, that Trump has used nearly every public opportunity to try to lower mounting pressure ahead of the historic meeting. Let’s start with the first instance. On Tuesday, Trump told reporters in the Oval Office in response to a question about North Korea, “We’re in no rush whatsoever. … As long as there’s no testing, I’m in no rush. If there’s testing, that’s another deal.” It’s a comment he’s made before, but it carries more weight now that he mentioned it again before the February 27 meeting. Trump often points to the fact that Pyongyang hasn’t detonated a nuclear device since September 2017 or tested a missile since November of that year, but it’s not the full story. About three years have passed between North Korea’s first and second nuclear tests, and about four years between its second and third. It has completed six tests in total, only one of which took place during the Trump administration. There have also been years-long gaps between North Korea’s missile tests, which began in the 1980s. So the current lull is nothing new, and North Korea has used the break to continue improving its nuclear arsenal that threatens regional allies and American territory. “This only reinforces the perception among some that Trump either doesn’t understand the threat or is cynically approaching the North Korea issue from a political rather than security perspective,” Frank Aum, a North Korea expert at the US Institute of Peace in Washington, told me. And on Wednesday, Trump told reporters in the Oval Office that the Hanoi summit likely won’t be the last time he meets with Kim. In other words, don’t expect a massive deal to end North Korea’s nuclear program next week. Trump did add that he believed Pyongyang would eventually dismantle its nuclear arsenal, however. 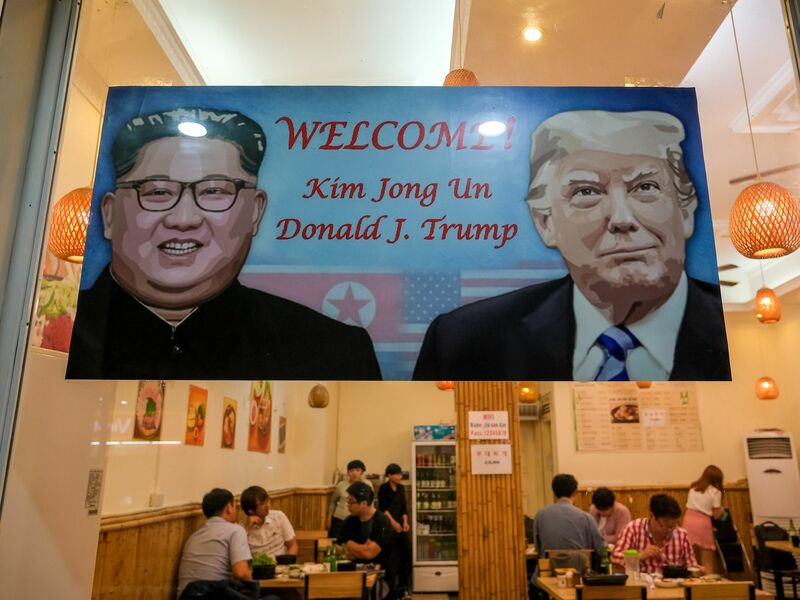 “Trump is trying to create negotiating leverage before Hanoi by creating the impression that he is not desperate to achieve North Korea’s denuclearization,” says Aum. Put together, Trump is letting the world — and mainly Kim — know that next week’s meeting isn’t the last chance to sign a huge accord. If anything, it seems like the president has resigned himself to long and arduous negotiations with Pyongyang. And that, actually, may be good news. Is Trump getting North Korea negotiations right? 1. The United States and the DPRK commit to establish new US-DPRK relations in accordance with the desire of the peoples of the two countries for peace and prosperity. Note that “denuclearization” doesn’t come until the third step. The first two are really about improving ties between the US, North Korea, and South Korea as well. There is also major disagreement about what “denuclearization” means — for the US, it’s that Pyongyang ends its nuclear program; for North Korea, it’s that Washington stops protecting South Korea. It does so by stationing thousands of troops in the country and being willing to fight a nuclear war to help it, if needed. It’s possible that what Trump is trying to signal — albeit poorly — is that as long as North Korea doesn’t test any more weapons, the US will commit to working through the four-step plan. The next meeting may really be about relationship building, then, not ending nuclear programs.